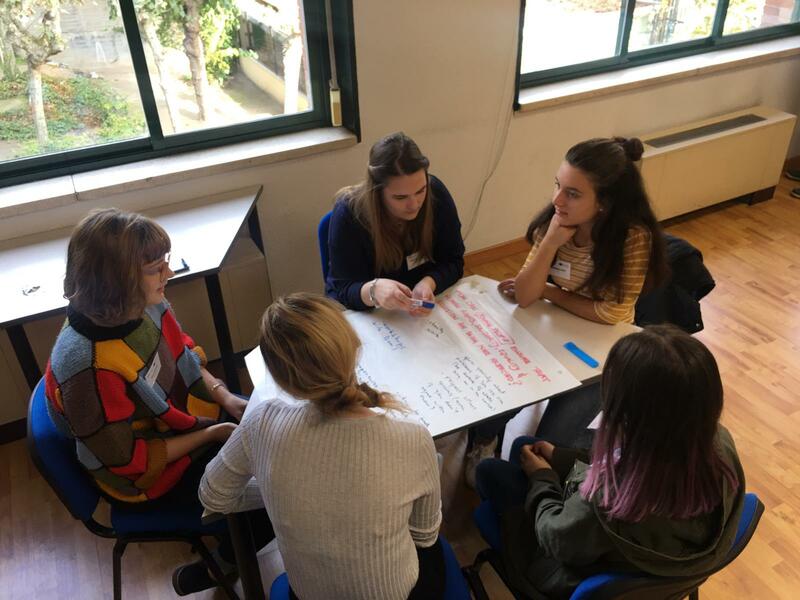 On October 26 and 27, the final conference of GEAR project gathered around one hundred young people, teachers and representatives of civil society organizations and experts coming from Croatia, Spain, Slovenia, Italy and Macedonia. The objective was to present the conclusions of the project from the perspectives of various participants, but also to bring together a range of actors with knowledge and interest in the democratic perspectives of the EU in the future, especially in the sense that they are reinforced through Global, Civic and Intercultural education. 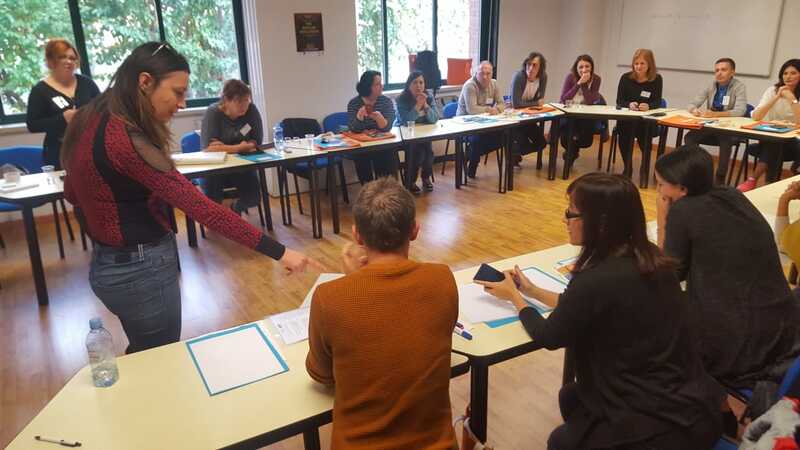 During 2 days, teachers, students, members of organized civil society and experts debated and reflected on the ways we can contribute to social cohesion and the consolidation of inclusive societies in a European in a complicated historical moment. Inclusive societies need the existence of inclusive schools. A segregated education – based on ideologies, gender, religious, ethnic, monocultural or ultranationalist foundations – leads to the existence of a fragmented and incomplete citizenship. Public schools must adopt an intercultural model with recognition of diversity and common heritage corresponding to the rights, values and culture of democratic citizenship. All the participating countries have different problems in their societies, but we share obstacles in terms of inclusion, solidarity and especially in creating more supportive societies. Educational systems must face these problems, but sometimes they do not cover the necessary contents and, therefore, civil society organizations must also work in their own communities. We need to (re)introduce a subject of civic education and ethical values, focused on civic principles, Human Rights and global social issues to educate in common values such as respect for the person regardless of the colour of the skin, gender, culture or religion. This would include contents of individual ethics, based on education, self-esteem, respect and loyalty to others, but also values ​​of social ethics, such as respect for the environment, gender equality, peaceful resolution of conflicts, the Children Rights and interculturality, among others. 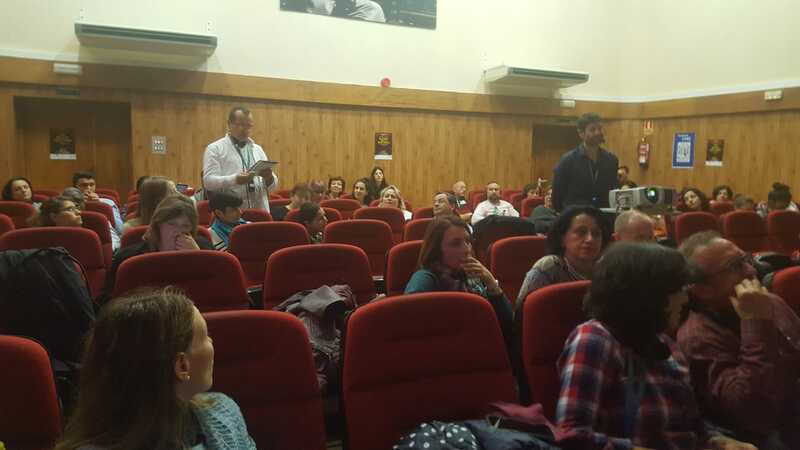 There is an existing request of teachers from all our countries to be included in more initiatives where transnational exchange and learning is organized, such as the GEAR project. Inclusion in training and workshops that promote civic values and fundamental rights to achieve a more inclusive school environment are relevant for teachers and Youth Workers. The results so far have been very positive. In a Europe in which 20% of citizens declare themselves xenophobic, it is necessary to put more effort into the promotion of civic and inclusive values and equality, both locally and globally. There is hope in regard to civic education, since there are initiatives in this sense at the local level that are working well. Hopefully there is a bottom-up influence. 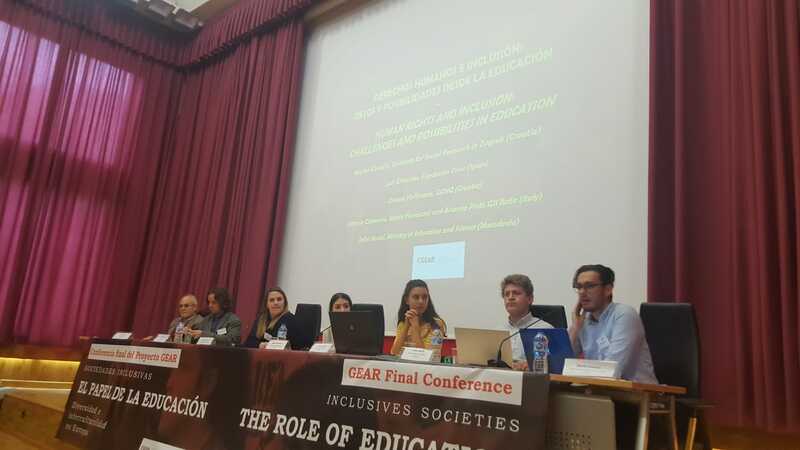 It is very important that Europe institutions promote educational projects that avoid violent conflicts, and that are able to work in an inclusive education, because although legally it is the competence of each country, there must also be European programs of non-formal education. 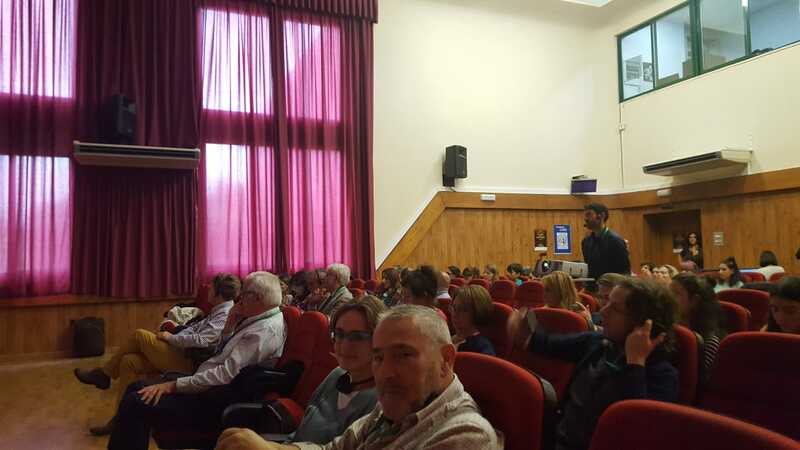 The final conference was kicked off with parallel workshops – one for teachers and another for youth – which served to drive home the conclusions about the overall relevance of various activities conducted within the project for the further improvements of practices in carious country contexts, as well as where they can be found to overlap. 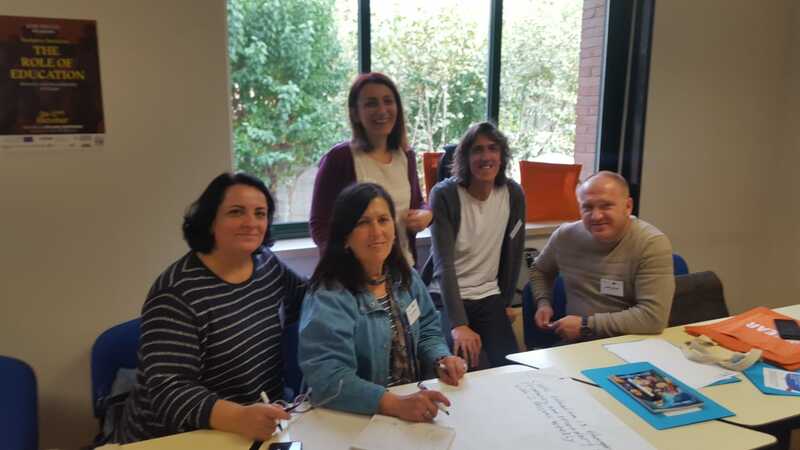 The teacher workshop included teachers from 5 countries (Spain, Italy, Slovenia, Croatia and Macedonia). 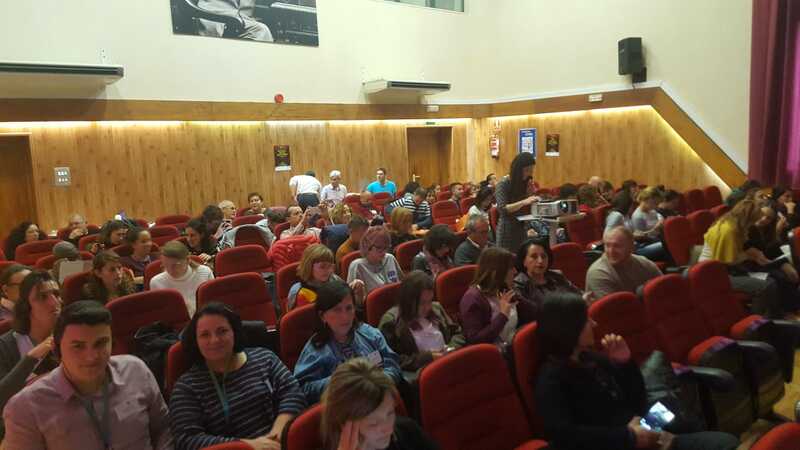 The teachers first presented opportunities and challenges of Global, Civic and Intercultural education in their own countries and after that, in nationally-mixed teacher groups, good practices and recommendations were created and presented on the conference. There has to be specific place in the curriculum, specific outcomes and a specific subject for Global, Civic and Intercultural Education. All subjects can partially contribute to development of civic and social competence, but the space (subject) is needed for reflection and critical thinking about global social issues. Active and experiential learning and problem-solving are interesting approaches for learners. That way, it is important to enable the activation of learners and their social engagement. Teachers’ experiences confirm that learners in primary and secondary schools like to learn through service learning and volunteering. 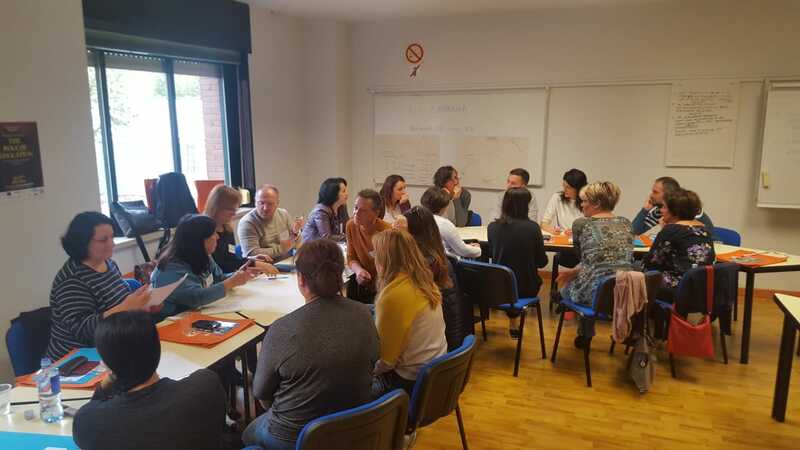 The communities in which teachers` work often is challenging for equality and inclusion so it is very important to enable those values to be promoted in learning process. 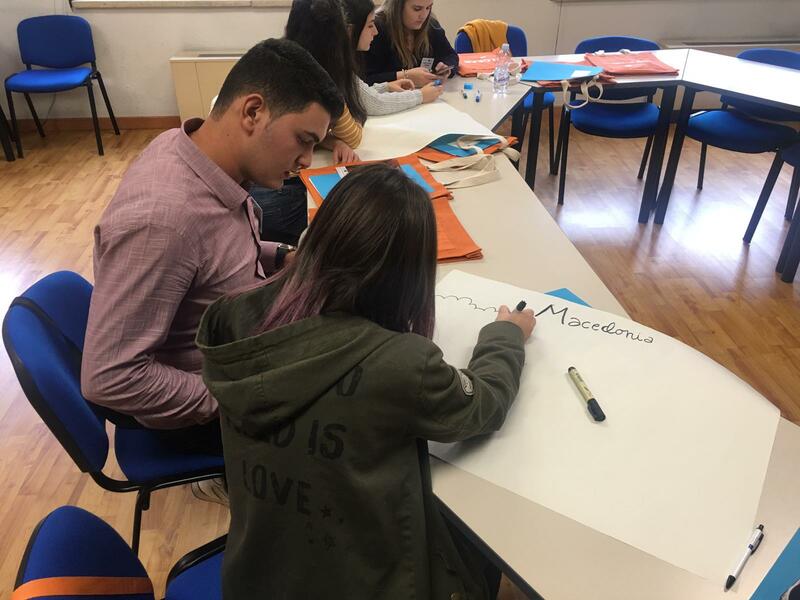 The Madrid youth workshop was attended by a total of 11 youth – five from Croatia, four from Italy and two from Macedonia. 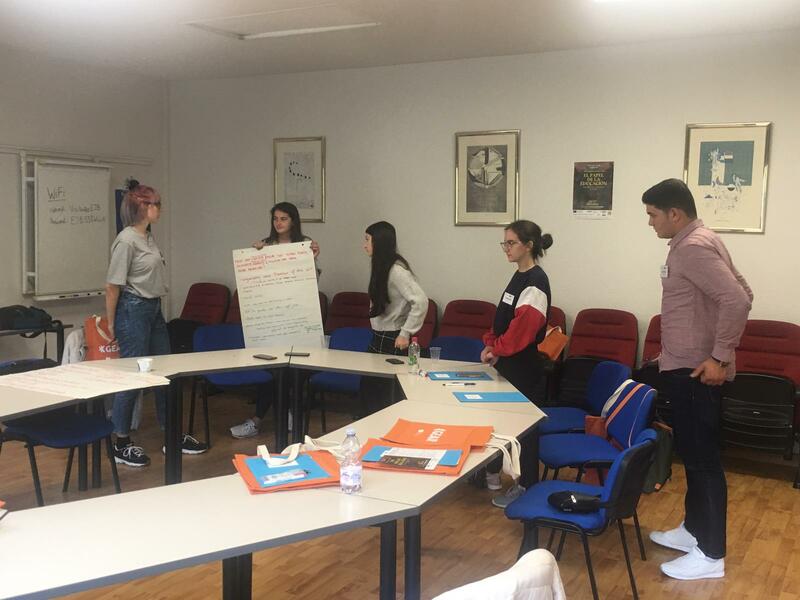 The purpose of the workshop was to recapitulate on the activities that young people had conducted in their schools and in their local communities over the course of the last year, as well as to try and draw conclusions on how to generate involvement from schools and communities in activities that promote solidarity and interculturalism. Day 1 of the conference (October 26) started off with an introductory session in which president of CIVES Foundation Mr Victorino Mayoral, and Martina Horvat, GEAR project coordinator, opened by emphasizing the vital role that education has in fostering inclusiveness and solidarity-driven modes of functioning for diverse societies that are increasingly characteristic of European societies today. The importance of cultivating a systematic and multi-stakeholder approach was especially emphasized, as was the necessity of carrying out these educational activities in a participatory fashion, with youth treated as equals. In the following session, project partner representatives had presented their own activities within the GEAR project, with an emphasis on takeaways from their respective project activities and how they felt that these activities had contributed to the overall idea of GEAR as a multi-stakeholder endeavour. The partners put the activities into perspective with the necessity of contributing to inclusive societies at various levels in Europe, noting that, although contexts of various societies differ widely, the needs for building interculturalism at the level of school-age learners is a necessity in each of them. Challenges for inclusion and building intercultural practices were the subject of the following session, in which representatives of NGOs from Croatia, Spain and Macedonia presented their country-specific challenges to intercultural education, noting how they are influenced by political context both at home and abroad, in the EU. The announced representative from the Macedonian MoE could not be present at the panel, and was substituted by Veton Zekolli of NDC Skopje. This session served to emphasize the existence of more or less concealed systemic pressures and public policy resistances against societal actions that foster inclusion and inclusion of vulnerable groups. 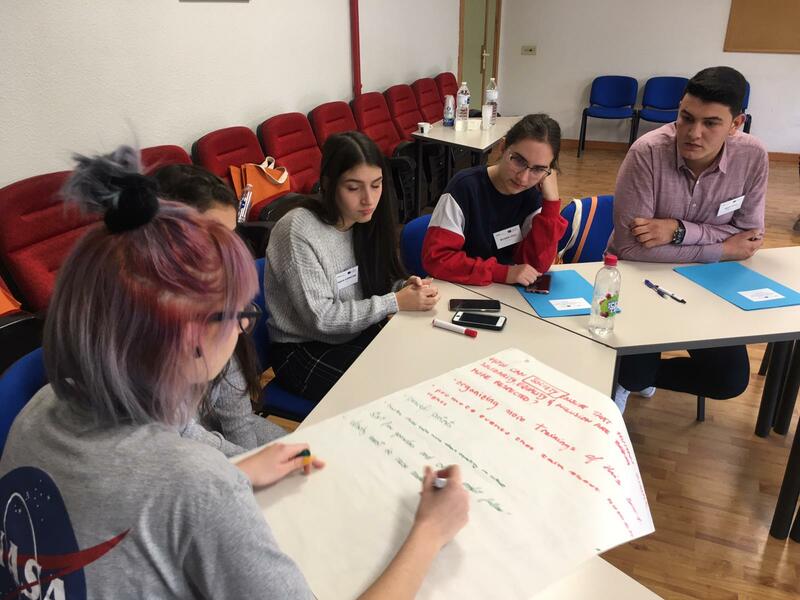 A group of youth from Italy then presented their positive experiences and takeaways from carrying out solidarity and inclusion activities in their local communities, emphasizing the potential to be found in youth mobilizing around positive social change. Day 2 of the conference (October 27) continued to look into the systemic dimension of Global, Intercultural and Civic education and how they can contribute to more inclusive societies in various countries. 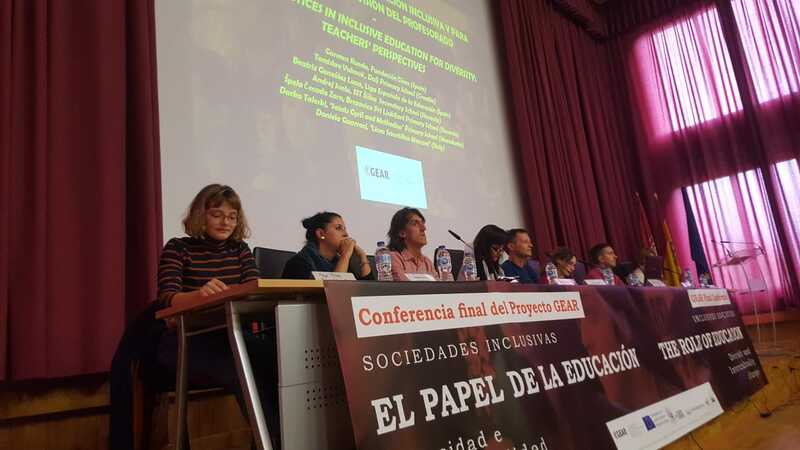 The first panel opened the floor for teachers and other education practitioners from all partner countries to recount what they found to be the benefits of implementing project activities in their schools and communities, as part of education for diversity. The educators presented their own take on the activities as they were implemented in their respective professional environments, with an emphasis on how various teaching methods can be used to discuss local needs and social exclusion with young people, and how these subjects can be connected to activating youth in their communities. 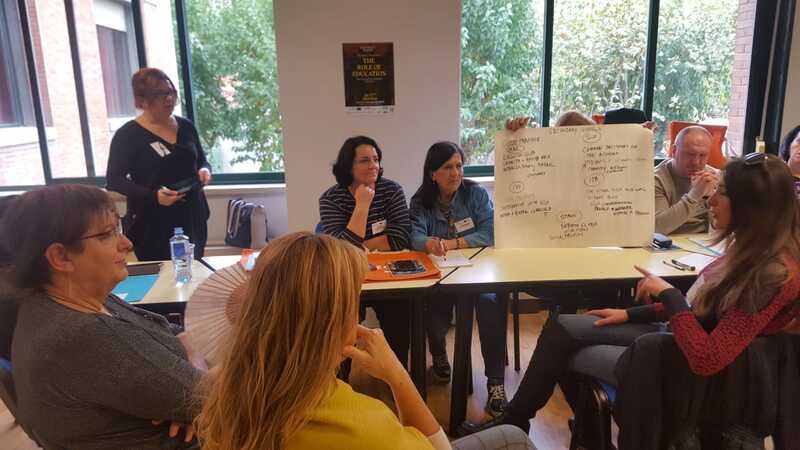 A variety of methods and workshop activities were presented, with a reflection on how they were used to introduce youth to learning about social inclusion and solidarity. A youth representative also participated in the panel, recounting her own experience in activities within youth workshops and how they had influenced her own participation skills and attitudes towards involvement for solidarity. The following panel focused on challenges that the global dimension of citizenship presents for contributing to the democratic attitudes of youth, following the premise that influences that shape attitudes today are not only more numerous than ever but also more dissonant. The final session of the conference also included the conclusions from the final youth workshop. Some of the conclusions put forth by youth attending the final workshop have included the importance of setting good examples, getting various actors (schools, NGOs, Youth Workers and youth themselves) on board with beneficial activities, and encouraging schools to be more open to the different needs of students. The young participants also emphasized the importance of parents raising their children without prejudice and creating an environment which will encourage them to active citizenship in the future, as well as giving the message that youth can use various forms of participation to express their concerns and dissatisfaction. GEAR project coordinator Martina Horvat expressed her takeaways from the conference as an observation that systems – education systems included – often hide or ignore diversity and weaken it in the process, making it hard to believe that systems truly value diversity as something that enriches societies. However, change of attitudes is possible and it starts from diverse people– youth, teachers, students, CSOs, Youth Workers – working together. This means finding new allies inside and outside education systems, many of whom are already trying to find better solutions and ways to make societies more inclusive, making the best of civic, global and intercultural education. Therefore, it is very important to seek out new ways to include the excluded in activities in communities – to provide spaces for their voices to be heard in articulating problems and articulating solutions, and to build opportunities for everyone to be represented, as representation opens the way forward to inclusion. Facilitators: Domagoj Morić and Dražen Hoffmann. Facilitators: Martina Horvat and Ivana Milas. 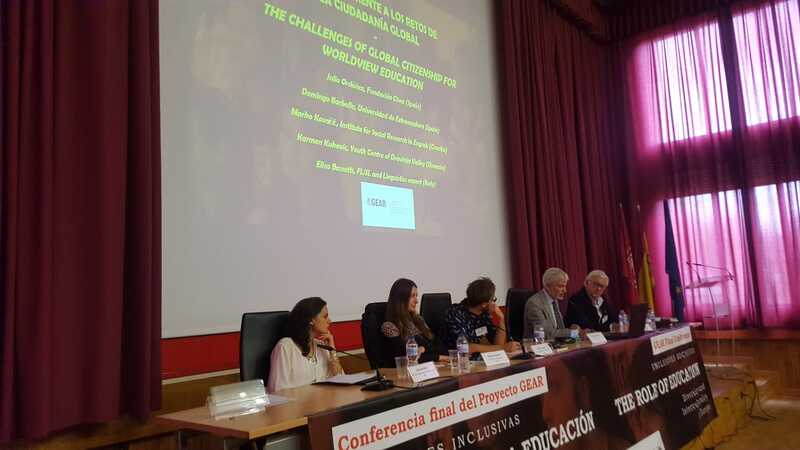 The role of Education for Diversity in Inclusive Societies Victorino MAYORAL, president of CIVES Foundation. Martina HORVAT, coordinator of GONG Education Programs. Moderator: Drazen HOFFMANN, GONG Edurne GRAU, CIVES Foundation (Spain). Ivana MILAS, Nansen Dijalog Centar (Croatia). Marta DE SANTIS, GSI Italia (Italy). Veton ZEKOLLI, Nansen Dialogue Centre Skopje (Macedonia). Veronika BAJT, Mirovni inštitut (Slovenia). Moderator: Marko KOVAČIĆ Luis CIFUENTES, Cives Foundation (Spain). Maria Vittoria CIAMARRA, Marta FORMICONI and Arianna PINTI, GSI Italia (Italy). Safet NEZIRI, Ministry of Education and Science (Macedonia). The future of EU: the main challenges for the 2019 elections Victorino MAYORAL, president of Cives Foundation. Francisca SAUQUILLO, former MEP and president of SOLIDAR. Mojca PAJNIK, University of Ljubljana (Slovenia). Vladimir SESTOVIČ, responsible of the #MEGA campaign for the elections to the European Parliament. Moderator: Carmen RUEDA, CIVES Foundation Tomislav VUKOVIĆ, Teacher of Dalj Primary School (Croatia). Beatriz GONZÁLEZ LUNA, Coordinator of the Cross-cultural and Migration Department of Liga Española de la Educacion (Spain). Andrej SVETE, SSTS Šiška Secondary School (Slovenia). Špela Čekada ZORN, Brezovica pri Ljubljani Primary School (Slovenia). Darko TALESKI, Teacher of the «Saints Cyril and Methodius» Primary School (Macedonia). Daniela GUARRACI, Teacher at «Liceo Scientifico Marconi» (Italy). Moderator: Julio ORDOÑEZ, CIVES Foundation Domingo BARBOLLA, Universidad de Extremadura (Spain). Marko KOVAČIĆ, Institute for Social Research in Zagreb (Croatia). Karmen KUKOVIČ, Youth Centre of Dravinja Valley (Slovenia). Elisa BASSETTI, FL/SL and Linguistics Expert, Education trainer (Italy). Moderator: Juan Ramón LAGUNILLA, CIVES Foundation Edurne GRAU, CIVES Foundation (Spain).